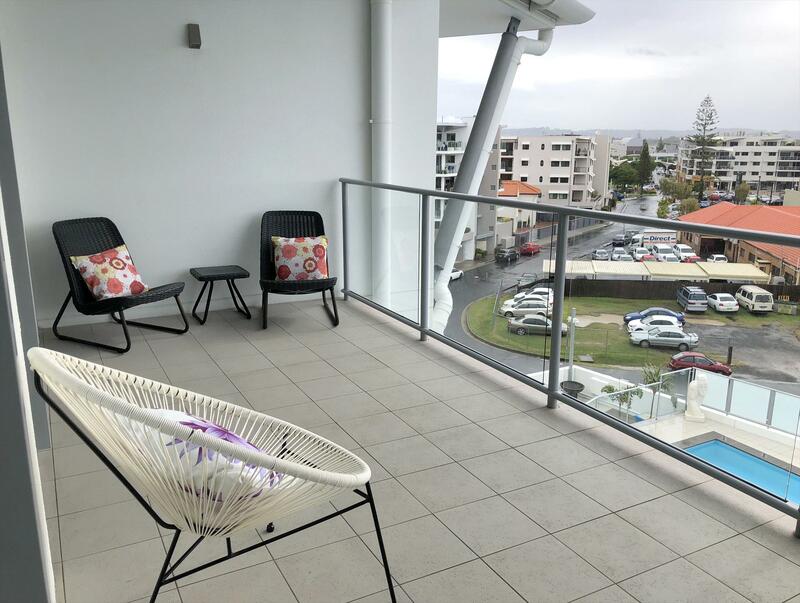 Beautifully situated on the banks of the Richmond River in the heart of Ballina, this modern one bedroom apartment plus separate study sleeps up to 4 guests and with spacious balcony and stunning pool views, it is a perfect family or couples retreat. 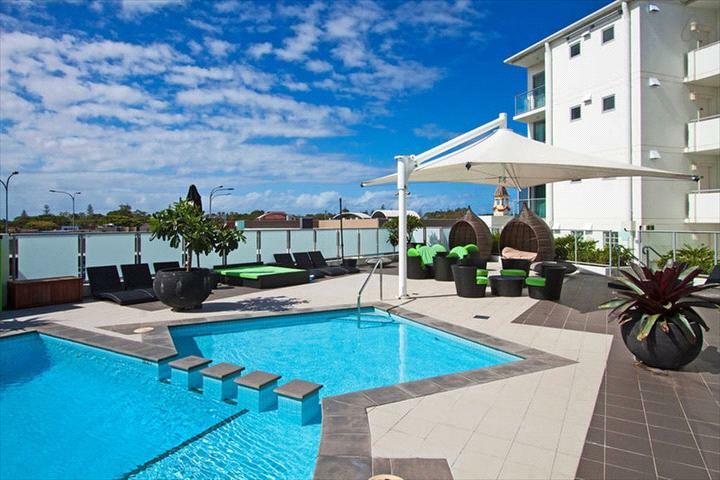 Enjoy a drink and some nibbles on the north facing balcony watching the pool activity below. The apartment is modern throughout and of generous size. The open plan design makes the most of the area and the property has a light and airy feel. 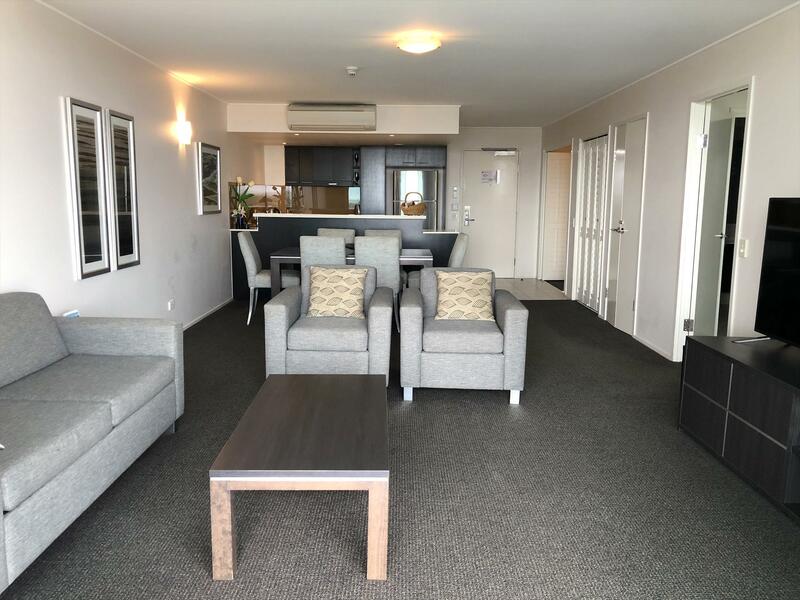 This apartment comfortably sleeps 4 people with a king size bed in the main bedroom and a double pull out sofa bed in the living area. 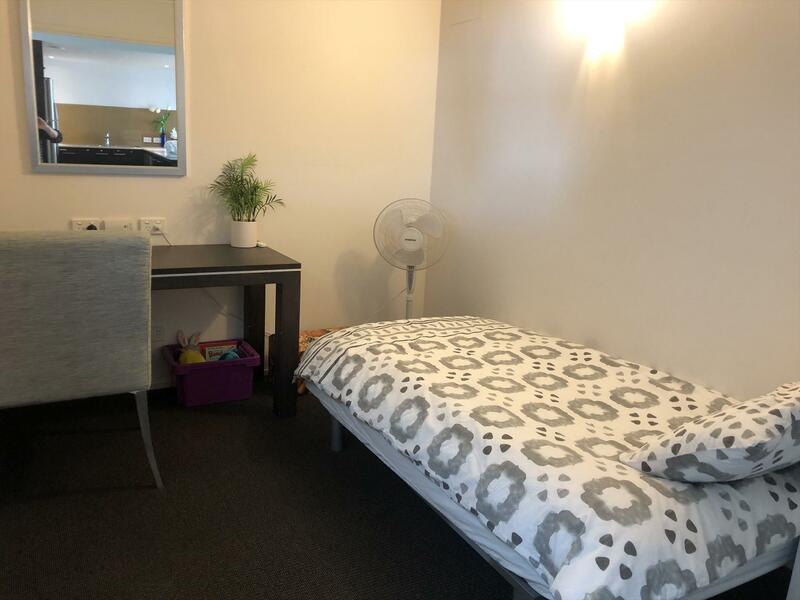 There is also a study area that could double as a second bedroom if you had a baby/small child with a portacot and there is also a futon which could be used as an extra bed if needed. 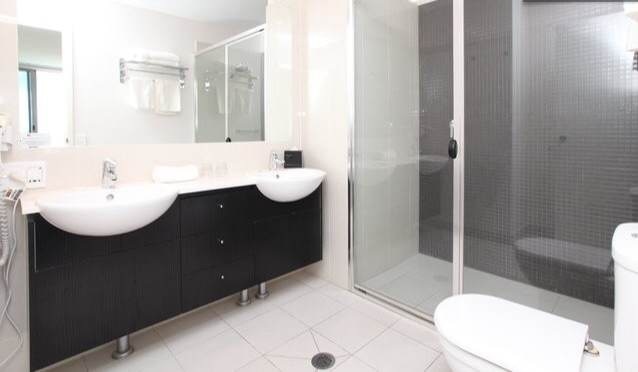 (Own linen is required) The bathroom is off the master bedroom and has a luxurious feel boasting a huge walk in shower and vanity with twin wash basins. 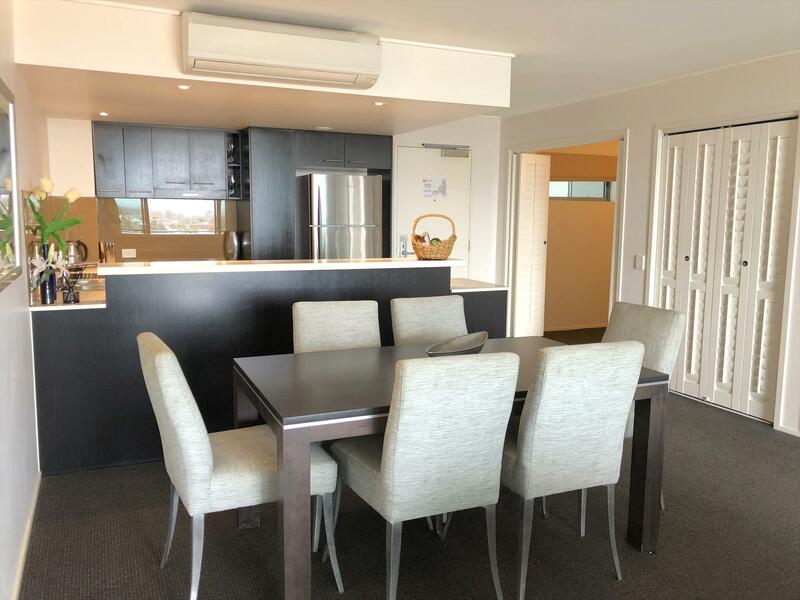 One thing that really differentiates this apartment from many others in this complex is that it features a full kitchen. It has a dishwasher, 4 burner hot plate, full size refrigerator/freezer and microwave, however there is no oven. 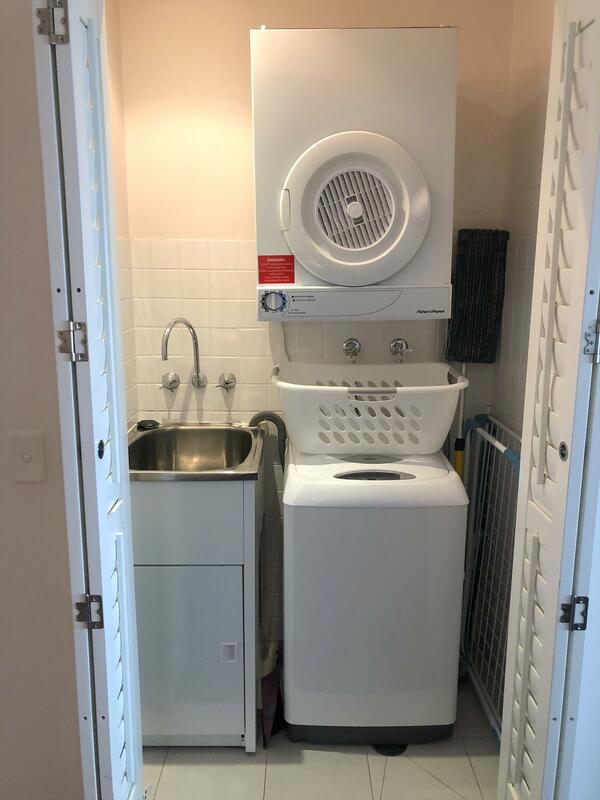 There is also the convenience of a Washing Machine and Dryer in the apartment. 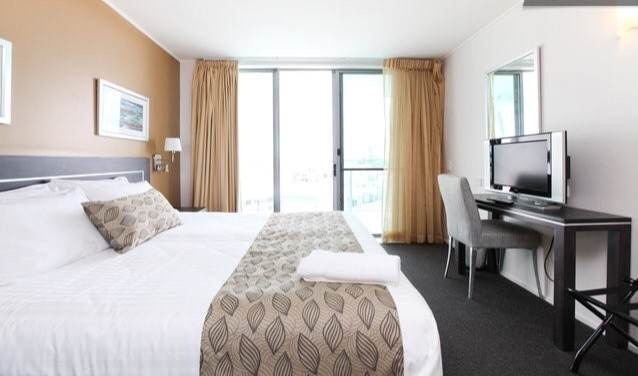 The apartment is part of the Ramada Hotel Complex and guests have full access to all of the facilities (excluding reception staff) including the fantastic outdoor pool with sun deck, shaded areas and lounges and the state of the art gymnasium. 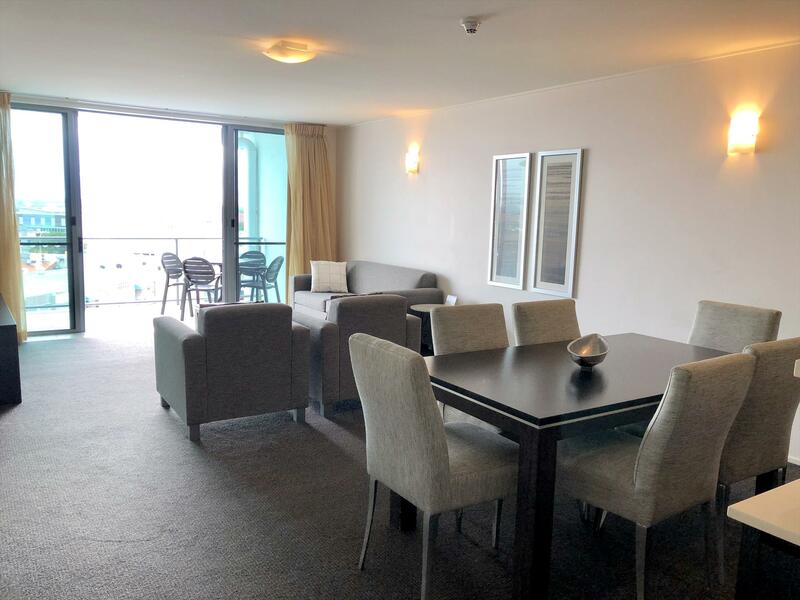 The apartment has Austar and reverse control air conditioning in both the living area and the main bedroom. Daily servicing can be arranged prior for an additional fee if required. There are 2 levels of undercover car parking and 1 car space is available at no extra charge. 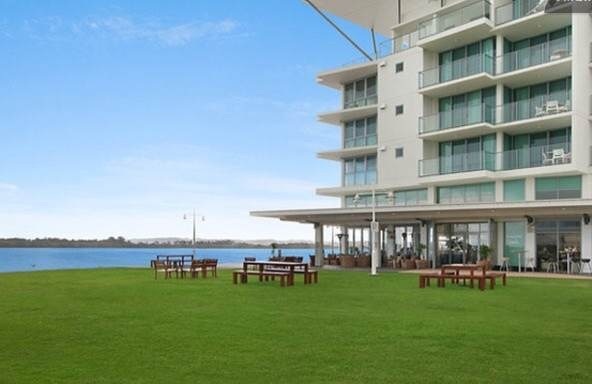 'The Point' Restaurant and Bar is downstairs fronting the Richmond River and a wonderful Italian and Indian Restaurant and also located in the Ramada Complex. 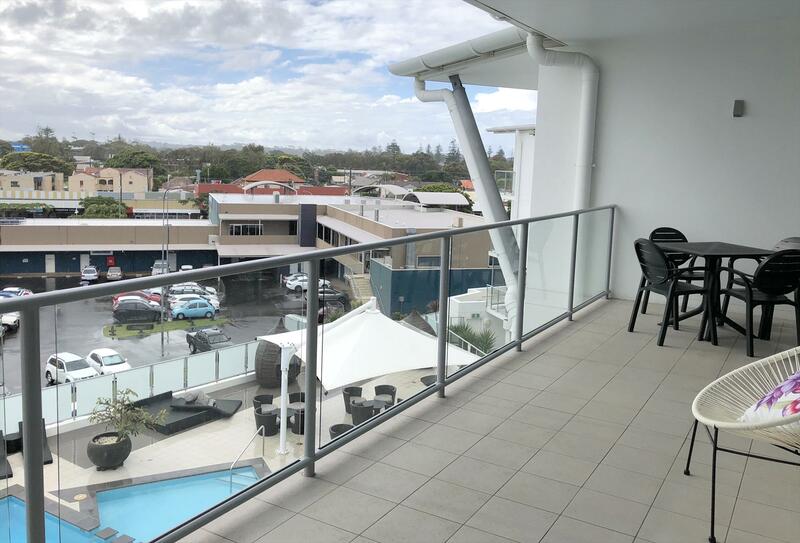 Beautifully situated on the banks of the Richmond River in the heart of Ballina, this modern one bedroom apartment plus separate study sleeps up to 4 guests and with spacious balcony and stunning pool views, it is a perfect family or couples retreat. 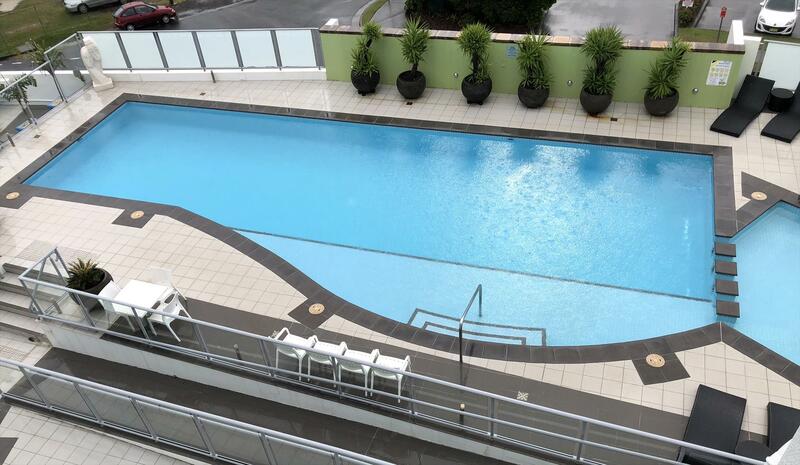 Enjoy a drink and some nibbles on the north facing balcony watching the pool activity below.